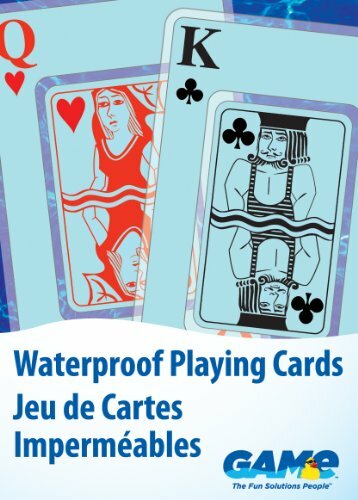 Introducing the GAME Waterproof Playing Cards that are the BEST waterproof cards in the market as they are loved by all card playing users of ALL ages. Perfect fun in the sun by the pool, in the spa or on the beach. The best pool toy accessory for worry free fun. 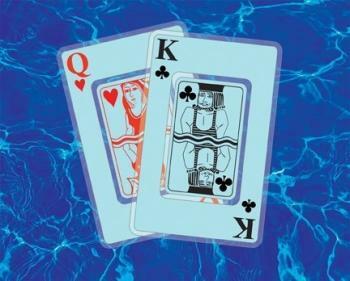 Can be played and shuffled in water without damage. Buy a deck today and try them for yourself, you wont be disappointed. The GAME SOLAR Underwater Light Show – the #1 selling Light Show is now SOLAR!